Yellow Wild Indigo – Baptistia tinctoria in my garden. The full moon’s height in the sky at midnight changes with the seasons? November through February, the full moon is very high in the sky at midnight. 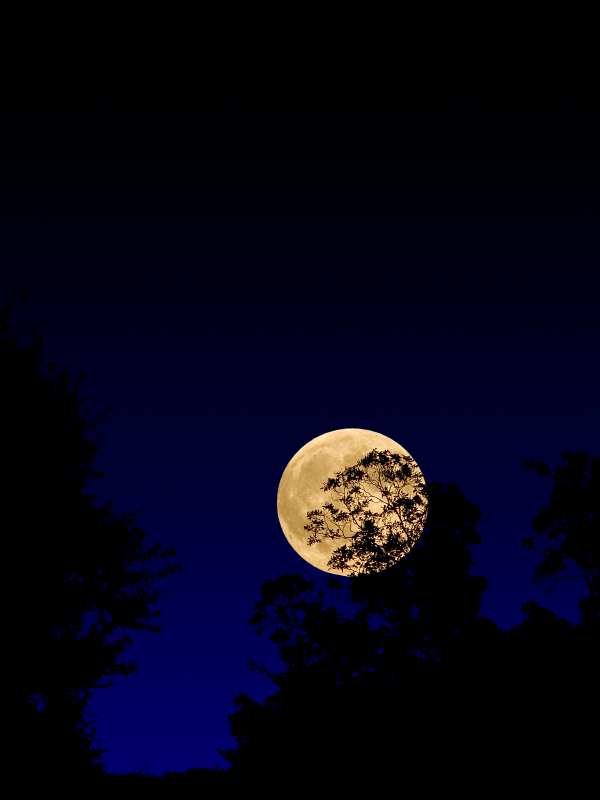 May through July, the full moon is very low in the sky at midnight. Full moons always rise near sunset. 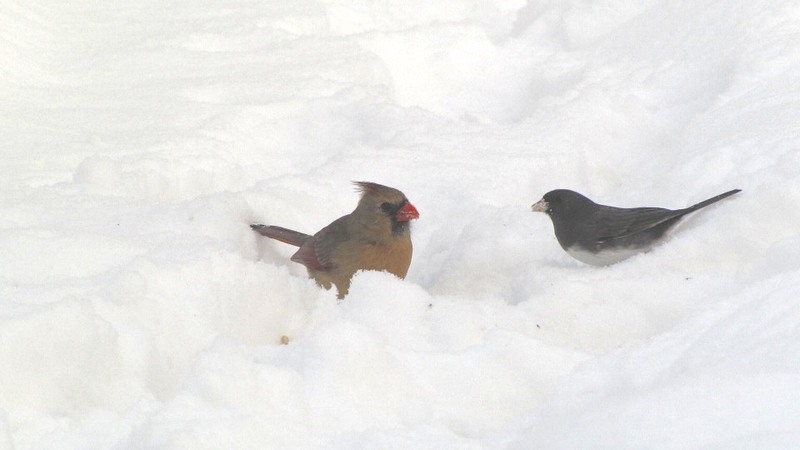 A female Cardinal and a Dark-eyed Junco in the snow. Birds: Birds are in winter flocks. Which species travel together in your area? Trees and Shrubs: Many trees and shrubs have next springs buds already on the tips of branches. Draw or photo and learn to identify trees and shrubs by their twigs. 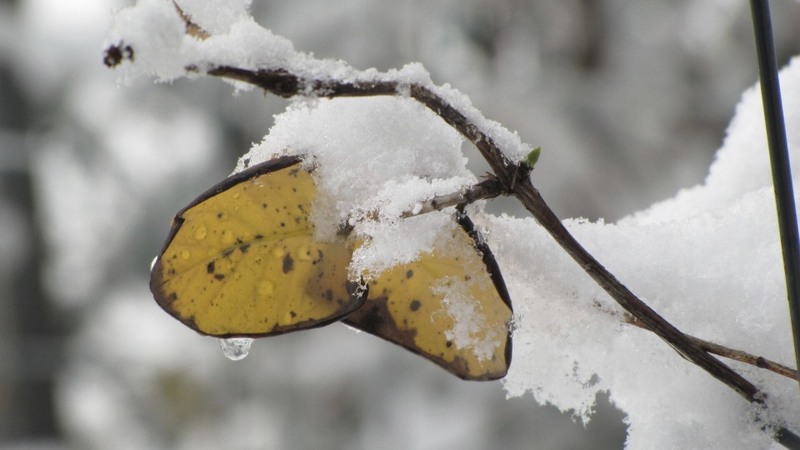 Yellow Wild Indigo (Baptisia Tinctoria) covered in snow, in my garden. How Birds Cope with Cold. Loss of the Night – Help scientists study the effects of light pollution by identifying the visible stars in the night sky. This project can be carried out anywhere. 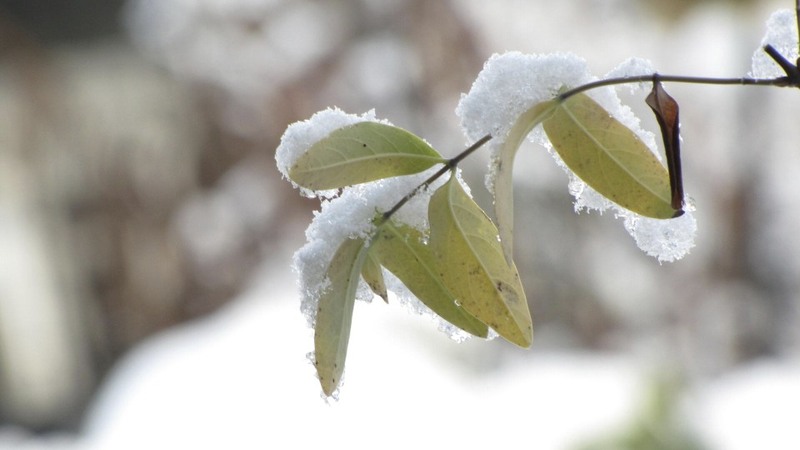 Ice Watch USA – Help scientist study climate change by monitoring ice phenology. This project can take place in anywhere in the US. FeederWatch – record the species of birds at your Winter feeders and share the numbers with scientist. That’s all for this issue. Look for the next Naturalist News at the beginning of spring.